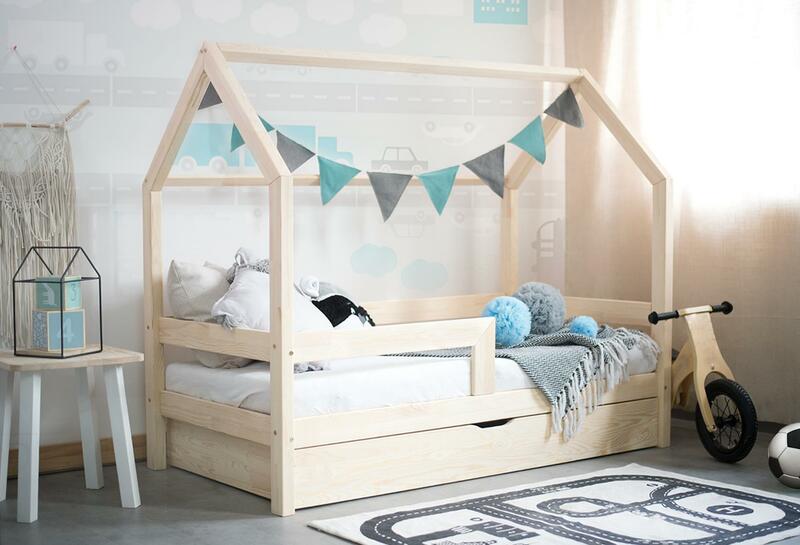 Lovely house bed in scandi style made of pine wood in Poland. Beds which are 140/160cm long have one drawer. Beds which are 180/190/200cm long have 2 drawers. It is a complete bed frame with slates, screws, user guide. Please note the mattress is not included. We offer free UK delivery on all beds. The postage is available within the UK only. If you wish to order from outside the UK please contact us. Delivery time about 5-6 weeks.